How Do You Celebrate Earth Day In Your Music Classroom? Kids and Earth Day are a natural combination. With their sense of wonder and excitement about the environment, as well as their boundless energy, now is the perfect time to get kids involved in Earth Day. Share your photos or videos and be entered for a chance to win $500 of Sonor Orff Primary Line instruments. No purchase is necessary and it’s simple to participate. Upload a photo or video showing you and your students celebrating Earth Day with music. Use your creativity and make your music class celebrations fun and engaging! The sweepstakes is open from April 1 – April 26, 2019. Three lucky winners will be drawn at random by May 3, 2019 and each will receive $500 of Primary Line FSC instruments. 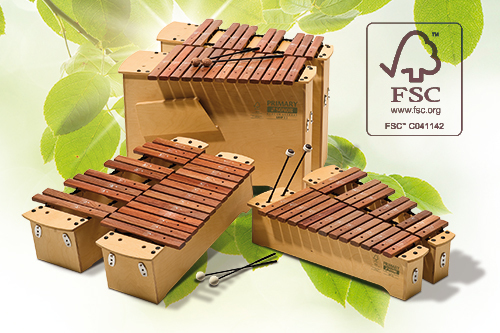 Visit the Sonor Orff website to see all of our Primary Line instruments. Upload a photo or video showing you and your students celebrating Earth Day with music by April 26. All photos and videos that include children under 18 will require a release form giving KHS America permission to share the media on our marketing platforms. One upload per entry. Enter as many times as you like. Thank you for sharing with us how you celebrate Earth Day in your music classroom! Click here to view the Official Sweepstakes Rules.